I agree with the position that "Get Over Me" got, quite fair. at Hello Kitty being below the three mediocre country songs and the Spongebob SquarePants Theme. It deserved much better. I still like Get Over Me to this day. Sure the lyrics aren't great but I think it's an insanely catchy song. SOS isn't one of her best songs but I enjoy it on a summer day or when I want something fun and cheerful to listen to. 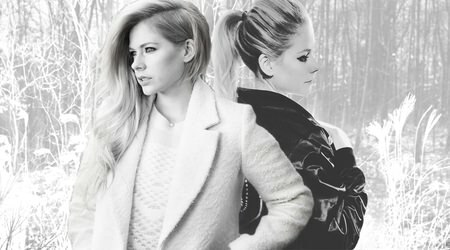 Black Star being the first song from Goodbye Lullaby get a positive change with 11 spots. Some of you will need to buy some taste asap. I'd say most of these songs deserve a higher rank, but then they're all between 7.4 and 7.8 out of 10, and that is actually pretty good. RIP to One Of Those Girls, IAGWIW (although I get people are sick of it by now), IDHTT, My World (probably her most underrated song ever), Contagious. Why did Black Star of all songs gain 11 spots? I'm not even going to try to comprehend how black star is up so many spaces. As fun as this kind of stuff is, the top 10 is getting to be painfully predictable. I know, I feel like the results are more or less the same every year. UMS is always the #1 album, NH is always the #1 video, and the top songs are always her ballads or UMS songs like NH, MHE, IWY, etc. The only thing that keeps it interesting is when she releases new songs or videos so that there can be some new rankings. I have no idea what people see in IDHTT. So so bad. The rap in the beginning is cringe worthy, but otherwise it's one of my favorite songs by her. I just love the combination of pop punk and hip hop, I think it's really cool and different. And I like the aggressiveness of the song. The lyrics are bratty, but I love the general attitude of the song. Alone drops 32 spots .. I've seen so much better." TMTA at 65? WHYYYY? With EBBY, ICDB, IDHTT, MHE it is one of my favs. Why all of my favs are charting so low?